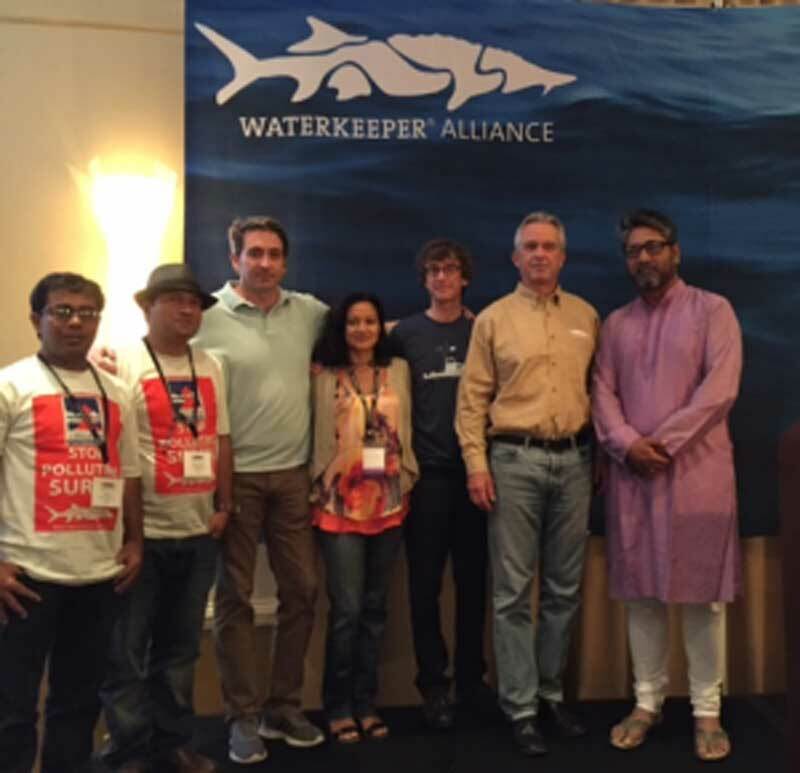 On the fourth day of the Waterkeeper Alliance global conference, Saturday 4th June 2016, Buriganga Riverkeeper, Surma River Waterkeeper, Khowai River Waterkeeper and London Waterkeeper have founded – ‘’The Waterkeepers Bangladesh and London Waterkeeper Partnership.’’ The partnership will work together to protect the rivers and waters of Bangladesh and the United Kingdom. The Partnership will highlight the unique value and current condition of the rivers of Bangladesh and the Sundarbans mangrove forest. A series of meetings will be held this September to establish the Waterkeepers Bangladesh Network in London. With more than 200,000 non-resident Bangladeshis in London the Partnership hopes that they will speak up for rivers and water bodies in the UK, Bangladesh and around the World. Early in 2017 a London conference will be hosted by Waterkeeper Alliance, London Waterkeeper and Waterkeepers Bangladesh. The two day conference will discuss the rivers of Sylhet Division and the plight of the Sundarbans mangrove forest. At the announcement of the partnership of London Waterkeeper and Waterkeepers Bangladesh, Robert F. Kennedy Jr. Said, “polluted water is a serious threat to everyone. Every year, half a million children under the age of five die due to contaminated water. In America, around 46% lakes and 40% of rivers are polluted and unusable.” He has promised to help to protect the rivers and to conserve the water of Bangladesh and London. Photo shows: Khowai River Waterkeeper, Tofazzal Sohel; Surma River Waterkeeper, Abdul Karim Kim; Waterkeeper Alliance Executive Director, Marc Yaggi; Waterkeeper Alliance International Director, Sharon Khan; London Waterkeeper, Theo Thomas; Waterkeeper Alliance President, Robert F. Kennedy Jr.; Waterkeepers Bangladesh Co-ordinator, Sharif Jamil; (left to right).